It seemed like so long ago, sitting in that bright lit classroom with that cool September breeze rolling in. In a room full of eleven and twelve year old total and utter silence. Our eyes were peeled to the screens as if the latest blockbuster featuring nothing but shocks was on. Oh how I wish that had been something as simple and unrealistic as that, on this day all those years ago had been when the World Trade Centre had been attacked. I was a child and remember just being frozen in shock and disbelief that something like that could happen. Here I was all the way in Australia seeing one of the worlds biggest super powers in such a vulnerable state. 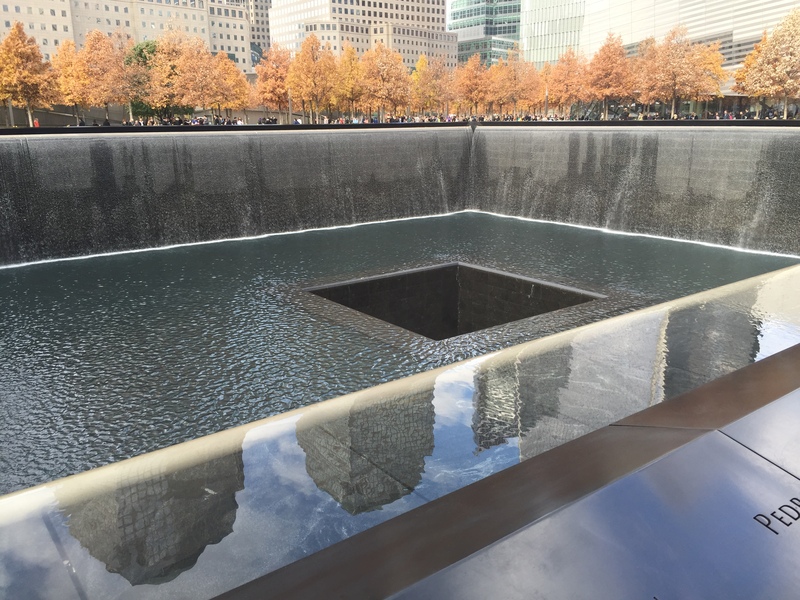 During my recent trip to New York I went to visit the site. Not only was this one of the most emotional experiences I had had on the trip it was one of the most emotional places I had experienced in my life. All that time had passed and it was still raw for so many people. To be honest I didn’t know how to feel or even if it were right being there. Here we were experiencing one of the most amazing cities in the world but in that moment the world just ceased to exist. In one of the busiest cities in the world here was a place that seemed eerily calm and quiet. Sure people were talking amongst themselves but it was so soft and calm. It was such a strange feeling to be here, to be in a place that so many people were so afraid and lost their lives. 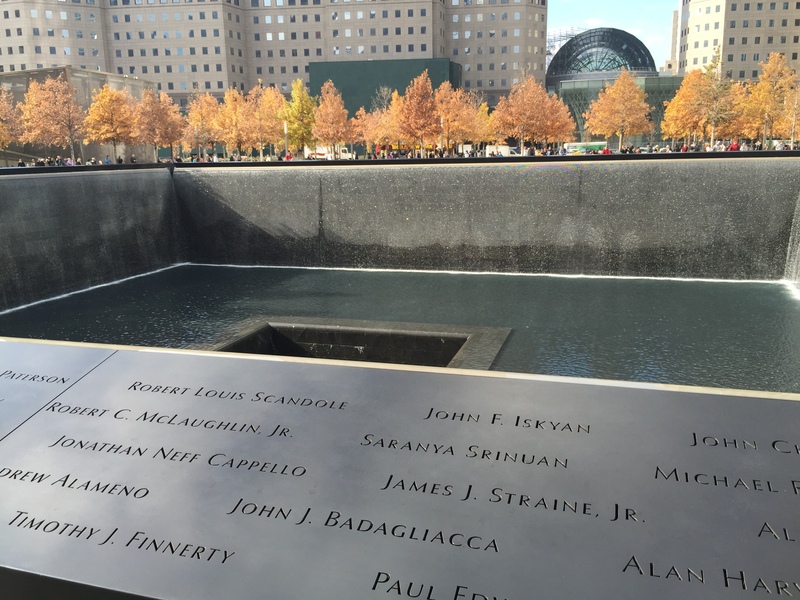 To be in a place where so many people lost a part of their family for life. You could just feel the sadness in the air. 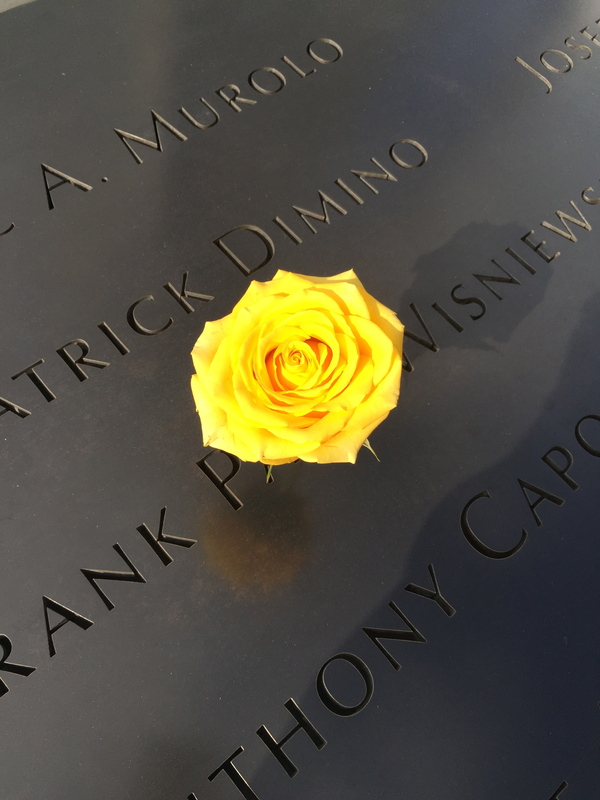 I walked around the site and a sign caught my eye that basically explained that every year on the anniversaries or birthdays of those who had lost their lives a rose was placed on their name. That day I had seen so many roses and they were so beautiful yet so sad. I am glad however in the end that we went to visit the site. It was one of the most life changing days in my young life. It affected how everything at home operated and how we appreciated our lives. I feel like it was good to go there and actually realise the intensity and magnitude of such an event. 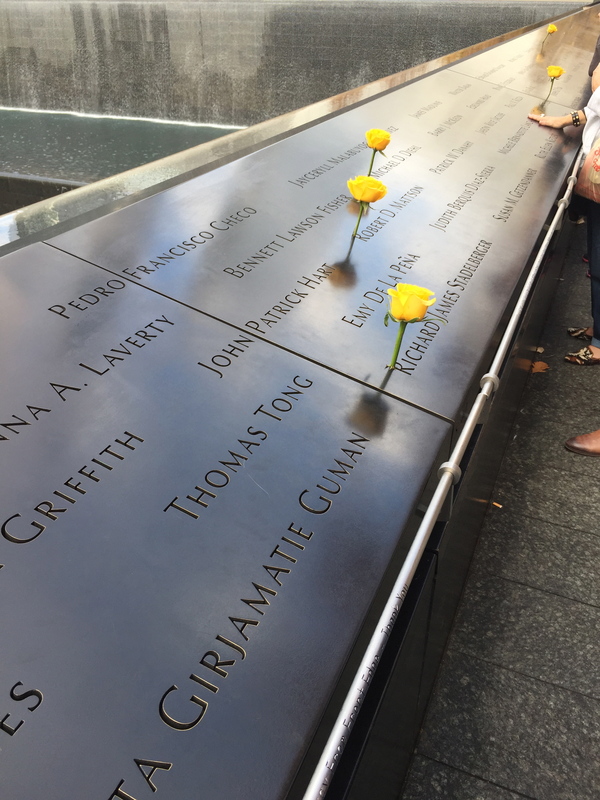 Most importantly I feel like it was positive to go there and see that as a city and globally the world remembers all those who didn’t make it home that fateful day. I know I have not done the event or the people justice in relaying my experience to you but it is unlike anything else. Its breathtaking isn’t it? Suxh an emotional experience. I totally understand what you are very eloquently saying with this touching post! 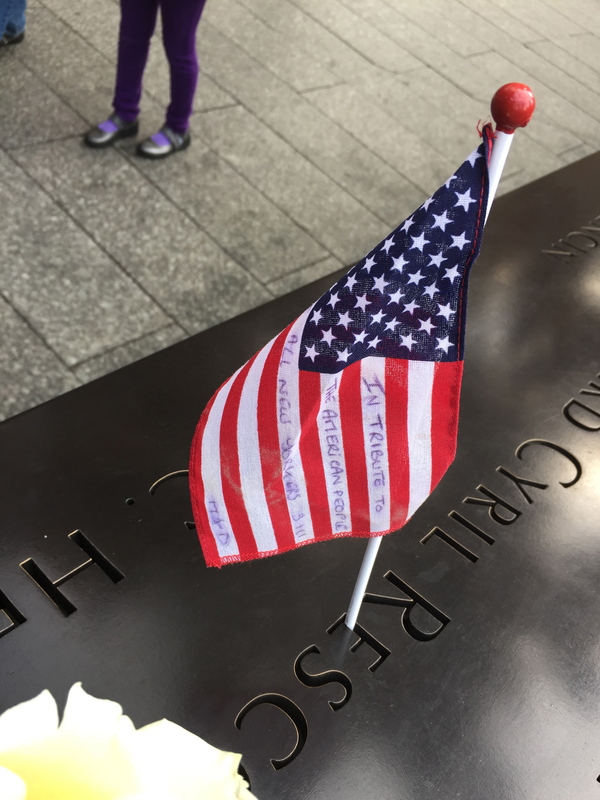 I was far away in another country too (India) as we watched the events of 9/11 on TV with shock beyond words… the WTC memorial site is a very peaceful and poignant memorial! It’s an eye opening experiencing to go from watching what happened there on TV to going to the site, incredible and emotional. Such a touching experience.